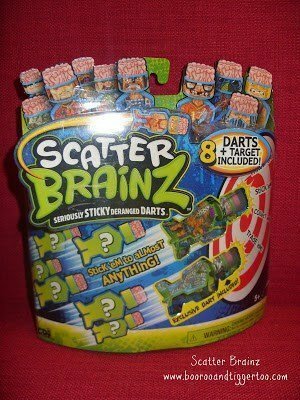 Scatter Brainz are seriously sticky deranged darts with a super sticky squashed brain tip! Each one has a unique character with a deranged theme. This eight pack comes with a target board to test out your aim! Contains collector darts found only in the 8 pack!